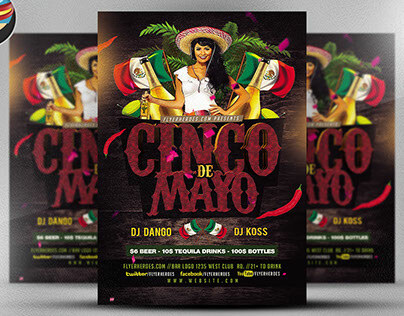 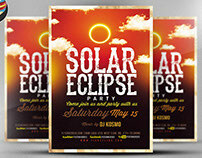 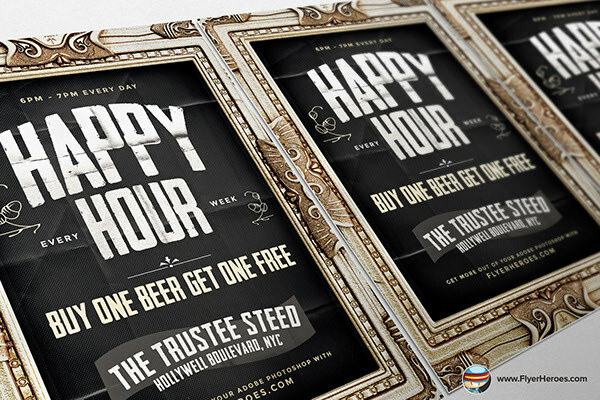 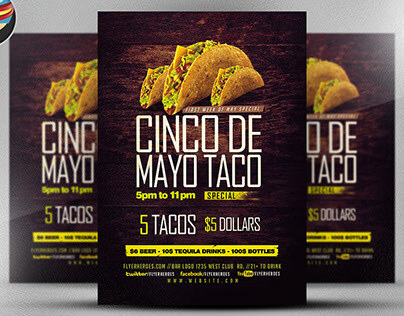 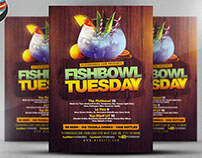 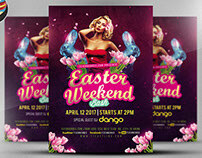 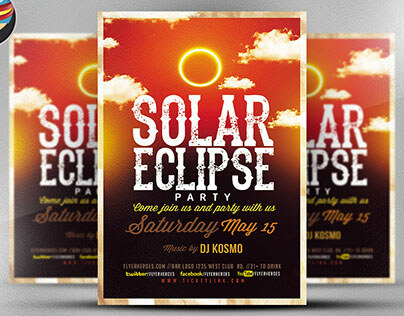 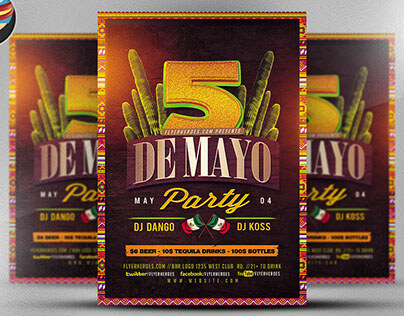 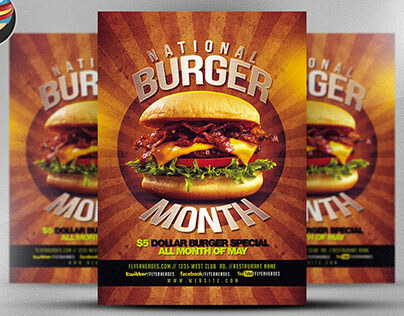 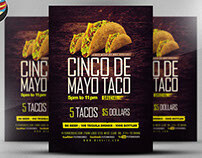 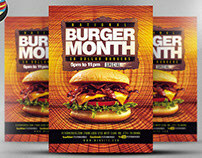 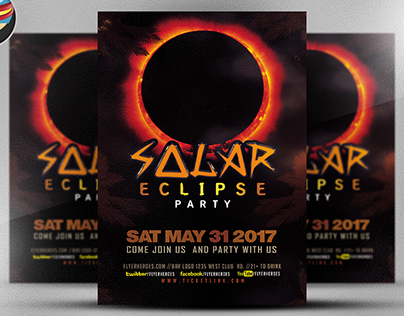 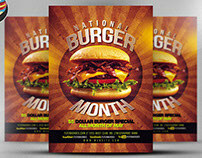 Framed Happy Hour Flyer Template is another addition in our Framed Series! 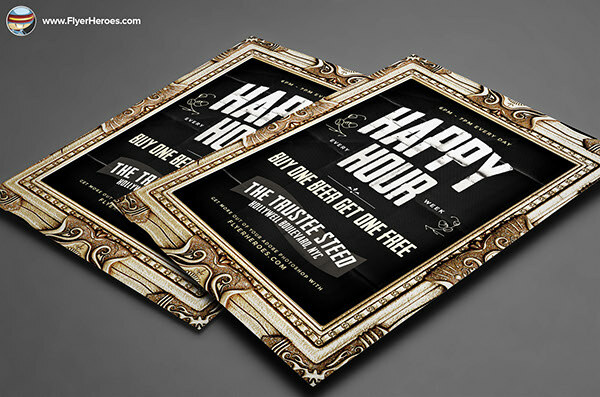 Everybody loves Happy Hour, and this is a perfect opportunity for you to promote your club or bar's Happy Hour Promos. The design of the frame adds more elegance to the folded paper effect and bold font. 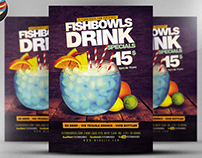 Grab one now and let the happy-nings begin! 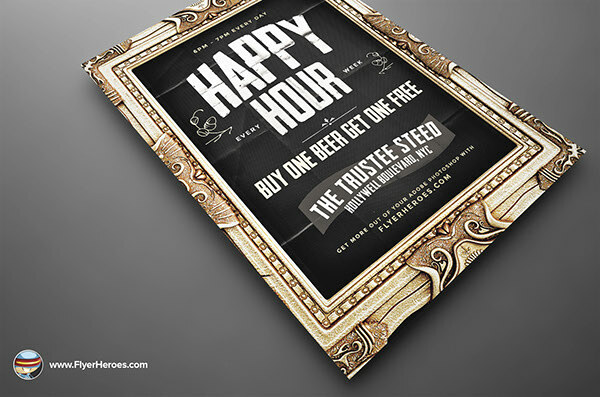 Download our Templates with FlyerHeroes PRO. 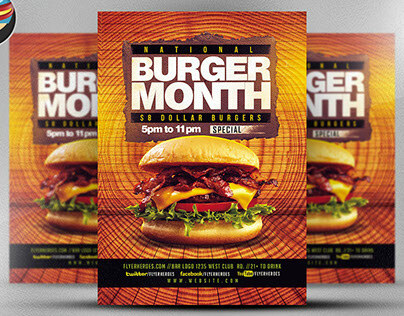 Learn more about here. 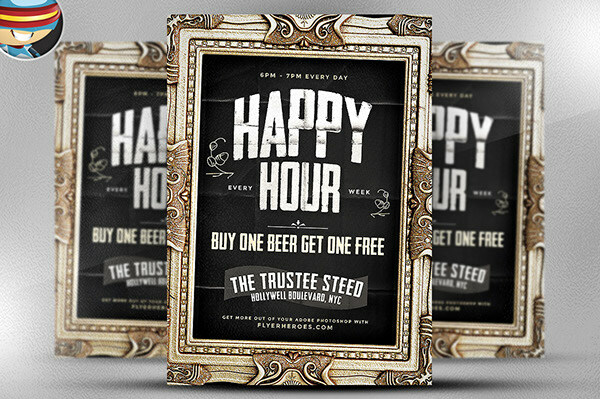 Framed Happy Hour Flyer Template is a premium Photoshop PSD flyer / poster template designed by FlyerHeroes to be used with Photoshop CS4 and higher.